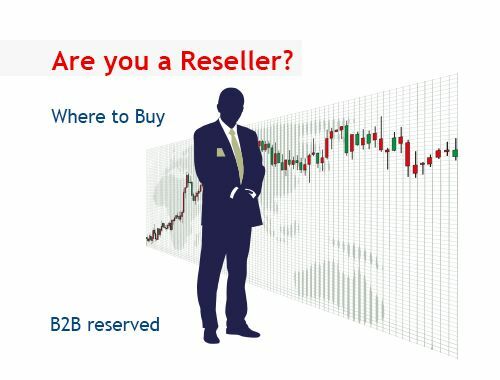 Lead the pack in the AV Industry by attending the best one-day Reseller, End-User Conference and Tech Showcase! Visit our stand and try our products. We'll be pleased to meet you. Gitex is happening on October 8-12, 2017 at the Dubai World Trade Center. This is one of the largest startup events organized in the region. The event gathers hundreds of global startups and investors, offering entrepreneurs a platform to showcase their businesses and attract investors. SmartMedia Europe will participate to this important exhibition, for the third consecutive year, and will be located into the Sheikh Rashid Hall, stand no. SR-5. Distribution of SmartMedia products in Latin America and Central America. The distribution of SmartMedia products in Latin America continues and is expanded, thanks to the partnership created with two large local audio-video companies. A distribution agreement with Nytec (Nytecla.com) was signed for the distribution of SmartMedia interactive products for the following Latin American countries: Argentina, Chile, Paraguay, Peru, Uruguay..
Nytec is a company specialized in integrated video audio systems for meeting rooms, videoconferencing systems and business collaboration solutions; They develop their own technology for interactive systems for schools in the field, to enhance classrooms and multi-disciplinary workshops, for a new generation of collaborative educational tools. In this context, Nytec chose SmartMedia interactive products by recognizing them the technological and innovative quality and the ongoing commitment to search for cutting-edge products from the company, which operates globally in the creation and distribution of interactive products for Business, Education, Entertainment. Interactive whiteboards, multi-touch monitors, interactive totems, and classroom management software. For over twenty years a leader in Costa Rica in integrated communications solutions, Connectividad began as a computer company for the sale of personal computers; in 2000 the company decided to diversify business to the Educational field, addressing the government, schools, private companies to support them in the difficult task of modernizing the learning environments with interactive technology products and cooperative. Conectividad distributes the full range of Smart Media products for the education sector in Costa Rica and Central America. 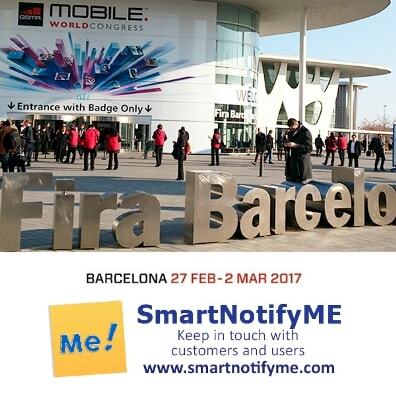 SmartMedia Europe will participate @ Mobile World Congress in Barcellona to show #SmartNotifyME, the cloud-based platform for sending push notifications to Android and iOS mobile devices. Try SmartNotifyME for Free for 30 days! Create and your own message and send push notifications to Android and iOS smartphones to reach people who decided to receive them by installing the free App from Apple Store or Google Play. Afterward, you'll access to statistics on the cloud-based platform. SmartMedia USA Inc. was part of the Stampede BIG BOOK event in Los Angeles, the last stop of "The Big Book AV Conference" tour 2016. The event was a success, thanks also to the presence of the main Hi-Tech manufacturers for audio, video, display, projection, lighting and staging, digital signage, conferencing, digital content creation, networking, signal distribution, and much more. 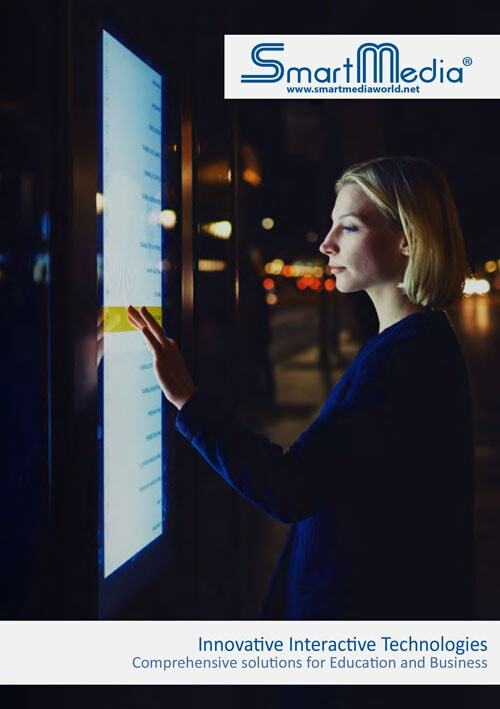 SmartMedia displayed its 42" indoor Interactive Kiosks and its new 75" Cam Series touch Monitors, with an interactive touchscreen display, Android O.S. and a built-in integrated Camera. 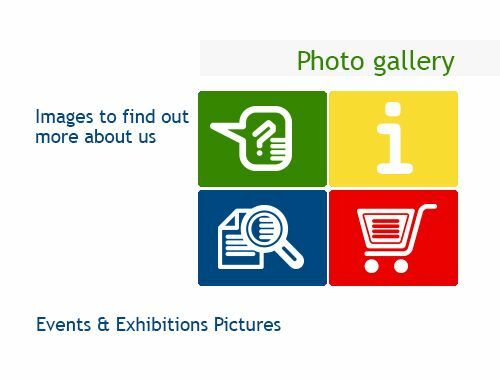 SmartMedia Autumn is rich in national and international trade fairs for both the Enterprise and the Education world. In Milan we will exhibit products for SmartCity, Dubai our products for a technological week and technological communications, in Naples and Genoa for Schools. October and November are full of appointments to follow. We wait for you in our booths. For some events are available the tickets. For information write to: europe@smartmediaworld.net. Gitex 36th Technology week is an annual international trading hub for the global technology sector, taking place into the Dubai World trade Center. SmartMedia Europe will participate to this important exhibition, for the second consecutive year, from 16th to 20th October. SmartMedia Europe will be located into the Sheikh Rashid Hall, stand no. SR-5. Visit our stand and try our products. We'll be pleased to meet you. Some limited free tickets are available. 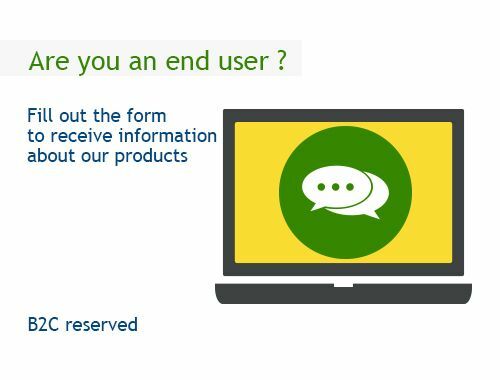 Please for information write to: europe@smartmediaworld.net. SmartMedia will be showing its products at the Infocomm2016 Show in Las Vegas, in booth #C6836 with Stampede, specialist in Pro AV solutions. Al- Hammad Holding Co. for Educational Projects based in Alkhobar in Kingdom of Saudi Arabia exposes SmartMedia Products at International Exhibition and Forum for Education in Riyadh from 12th to 14th Avril , as a result of a distribution agreement about SmartMedia products which was stipulated in last month. SmartNotifyME! is the new App for Business and Mobile Communication, directly on your Mobile. SmartMedia USA will be showing new products at DSE 2016 March 15th-18th at the Las Vegas Convention Center. For more information or to schedule a meeting with us during the show, send an email to mike@smartmediaworld.net, phone number 954 336 7388 or visit our website www.smartmediaworld.net. We are in Booth ‪#‎FTJ‬. We will also be featuring our digital signage kiosk in the Innovator Zone display. SmartMedia Europe will participate at Cebit, the largest and most internationally represented "computer expo " trade fair. SmartMedia USA will be showing new products at the TCEA Show from February 2nd to the 5th at the Austin Convection Center, Austin, TX. For more information or to schedule a meeting with us during the show, send us an email to mike@smartmediaworld.net, phone number 954 336 7388 or visit our website www.smartmediaworld.net. SmartMedia Europe, based in Bruxelles, will exhibit @ Integrated System Europe - Amsterdam February 2016, 9th - 12th. ISE - Integrated Systems Events LLC - is a joint venture between InfoComm International and CEDIA, the two leading industry associations for the global audiovisual industry. SmartMedia will be located in the Digital Signage Pavilion, with SmartMedia Europe sprl, our most recent branch to open in Brussels, Belgium. Come see our new products in Booth 8-F355. This marks the 35th edition of Gitex Technology Week, one of the most influential technology events on the planet. The internet future of everything. SmartMedia will be located in the Belgian Pavilion, with SmartMedia Europe sprl, our most recent branch to open in Brussels, Belgium. Come see our new products in Booth R120. SmartMedia partners with Lumens at CCUMC 2015! 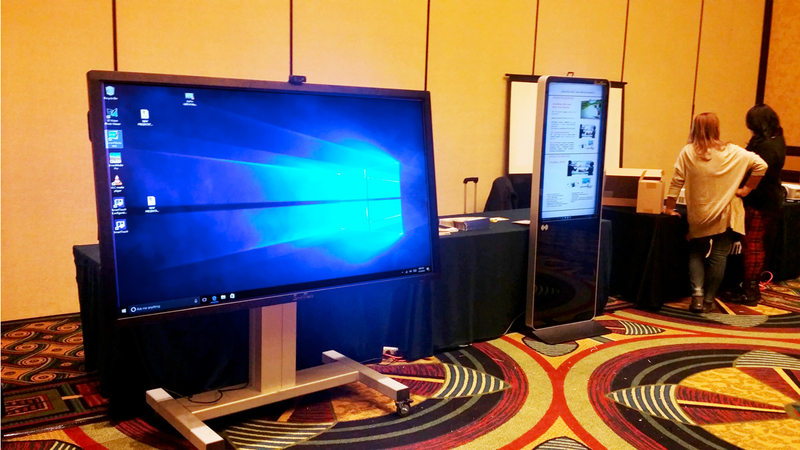 Come see our SmartMedia 10-touch, 4K monitor in the Lumens booth at Educause 2015 at Booth #1042. 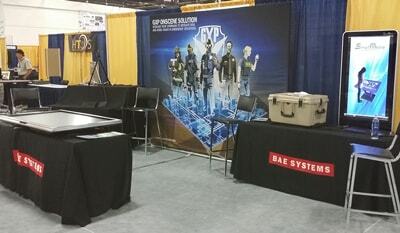 SmartMedia USA participates with BAE Systems in Urban Shield 2015 held in Alameda County, CA on September 11th. .
BAE Systems GXP develops industry-leading geospatial-intelligence software and solutions for data management, image exploitation, geospatial production, full-motion video analysis, and intelligence reporting. 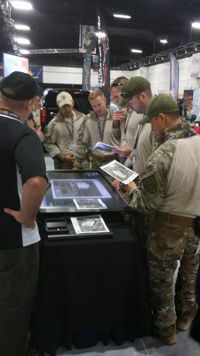 SmartMedia USA's digital signage kiosk being used by BAE Systems to display key features of their GXP Platform to visitors at Urban Shield 2015. 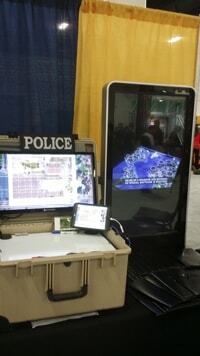 SmartMedia USA's multi-touch monitor being used to brief participants on the GXP Platform. Tall order ready to ship to InfoComm 2015! 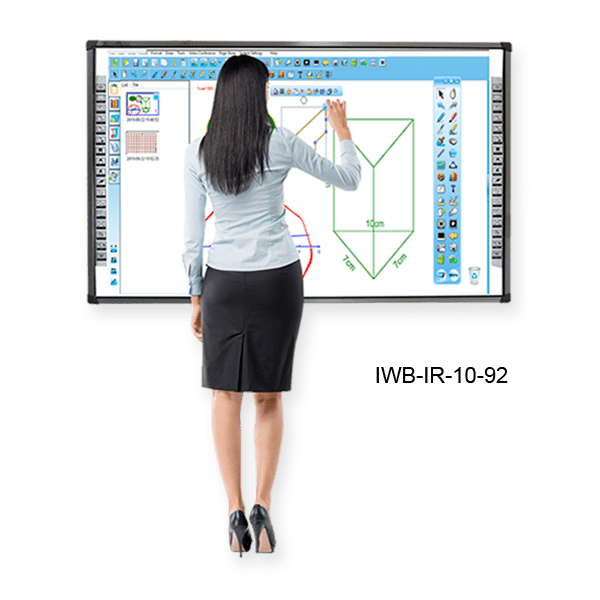 InfoComm2015 is just around the corner and we're excited to announce that we'll be showing the latest addition to our products, our 84-inch 4K Interactive Monitor featuring accurate and responsive 10-touch capability. Come see us at Booth #4281 and get ready for a new and amazing interactive experience! SmartMedia is very pleased to announce its new distributor for Bolivia, the company Petri von Landwust S.r.l. based in Tarija. A security, telecommunications and hardware specialist, PVL delivers integrated solutions and top-of-the-line technology at competitive prices. PVL works with a team of highly capable individuals that are dedicated to professionalism and customer satisfaction and have earned the company a reputation in its home market for product and service excellence. 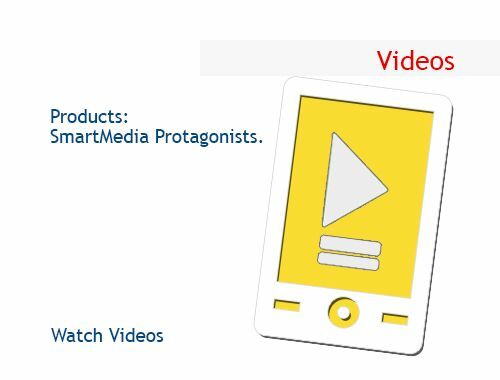 PVL will make available the full range of SmartMedia products across the entire nation. PVL can be contacted at www.pvlsrl.com or by phone +591 4 6665626. Get your free infoComm15 pass TODAY courtesy of SmartMedia USA! The pass gives you FREE access to the show floor ON ALL THREE DAYS as well as to the Keynote, Opening Reception, and other free special events. Register through the InfoComm show online system with VIP CODE SMA388 or download your electronic pass. 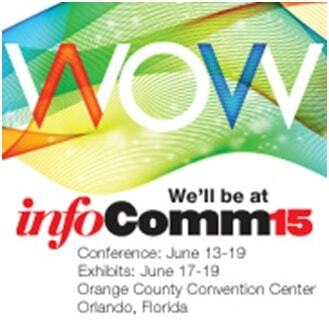 SmartMedia will be participating at InfoComm 2015, the largest and most comprehensive Pro A/V show in the world. This year it will be close to home, at the Orange County Convention Center in Orlando, Florida, June 17-19. Be sure to check back regularly here or on our FB page for updates on featured products, how to receive your free passes to the exhibit hall, and news releases. 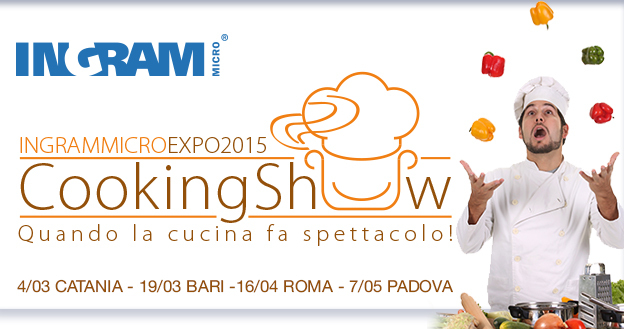 Waiting for you to Ingram Micro Expo 2015 Cooking Show where it will be present at all 4 stages! 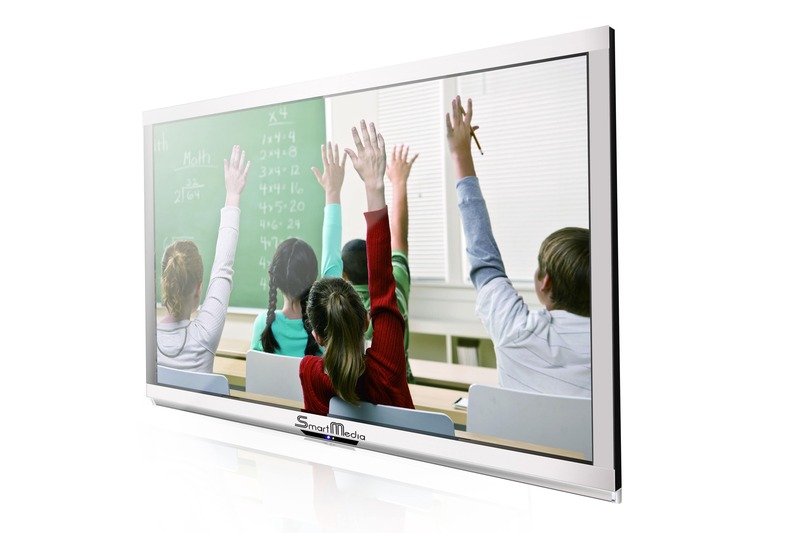 Touch Monitor 75 "10 touches 4K with integrated PC Android equipped with: SmartTouch software for educational presentations and/or company, SmartMedia IWB software for drawing and writing on the monitor as the interactive whiteboard with integrated videoconferencing application software and Classroom Management for sharing monitor with wireless devices such as tablet and/or notebook. Totem interactive 55 "4 touches equipped with SmartTouch software module for real estate and hotels. Solution with tablet and stand for the presentation of the cars on display in car dealerships. Solution with tablet and stand for the presentation of the menus in the restaurants. 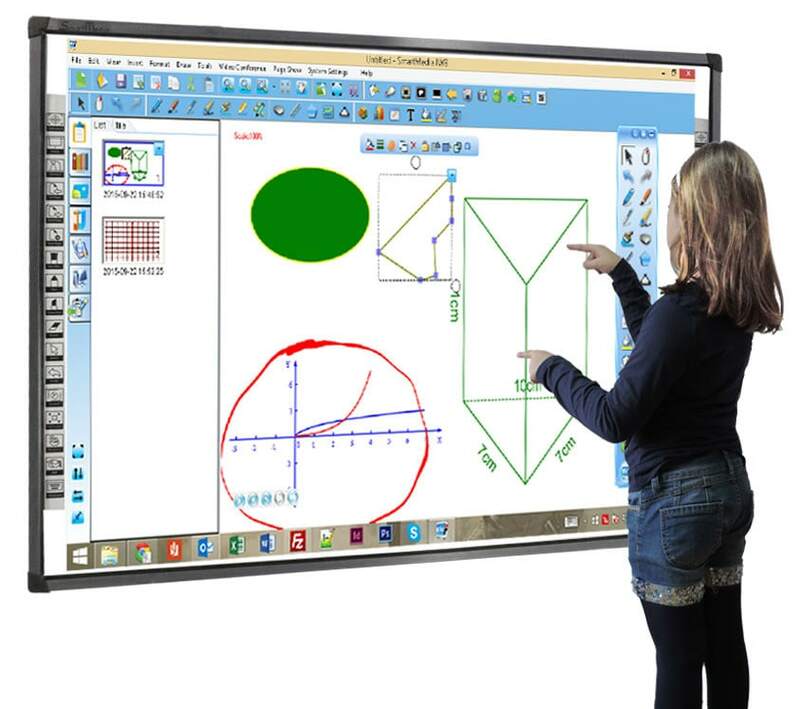 SmartMedia leader in Italy in the educational sector with the interactive whiteboards, the Monitor Touch and Classroom Management software, wants to expand its market sales also becoming leaders in the corporate sector in its list with the introduction of new hardware and software products. SIGN UP NOW TO THE LOCATION YOU PREFER! Distribution agreement between SmartMedia and Computer Gross to strengthen our presence in the corporate and educational channel SmartMedia is proud to inform you to count among our distributors also Computer Gross spa. SmartMedia srl - Rome - producer and distributor, on the whole national territory, leader in Italy in the educational sector with the digital whiteboard, the Monitor Touch and Classroom Management software, which is imposed on the Italian market for the development of hardware and software solutions in the Corporate Channel and Computer Gross spa - Empoli (FI) - Distributor of products and ICT solutions, which operates in increasingly part of the value added for the channel of dealers. Within the project abruzzoscuoladigitale promoted by USR Abruzzo, the IIS "Alessandrini-Marino-Forti" of Teramo, is organizing the regional seminar "The digital school in Abruzzo: share to grow." 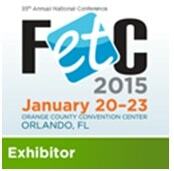 SmartMedia USA will be exhibiting at the upcoming FETC 2015 from Jan 20-23 in Orlando, Florida, at the Orange County Convention Center, marking our first participation in a U.S. trade show! FETC is the most comprehensive education technology event in the U.S., providing educators and administrators from all over the world exposure to the latest hardware and software. We're excited about the event and can't wait to show off our products. At FETC, attendees will get the chance to explore, hands-on, our interactive whiteboards, touch screen monitors, software and kiosks. The place to be is booth #177! Contact us to get your VIP Guest pass. SmartMedia will be participating in Milan's upcoming SMAU 2014, the most important international trade show in Italy entirely devoted to Information and Communications Technology. For 50 years, SMAU has been bringing the most innovative ICT products to businesses and governments. SmartMedia is always looking to be present in all the major events of the industry and this year at SMAU it will be exhibiting its latest generation of large format multitouch monitors, its newest interactive kiosks and the last version of SmartMedia Pro for share desktops and files. Visitors will get a hands-on experience of the innovative features and applications.